This year the M.A.L. Group of Companies that was established by Morris Lazarus in 1980 is celebrating 39 years in business. The Company still has its head offices at the same address, 39 Drury Street North End Port Elizabeth South Africa. Through hard work & a dedicated staff compliment this business has diversified into the battery & solar supply business. M.A.L. Battery Distributors (Pty) Ltd with its award winning www.batteriesonline.co.za business has a footprint throughout Africa. We are the authorized distributors for the Deltec Power Group. Our supply chain has warehouse facilities in all the major centres in South Africa. A courier service is available for door to door service should the customer require this service. Quality products at very competitive prices is the name of the game and our dedicated sales team are ready and waiting to answer any technical questions that the customer might need to know prior to his purchase. Our product range is vast with batteries for all applications. I was impressed with stock levels, prompt service and quick delivery to Cape Town. I wIll definitely support you in future. I recommend Batteries Online. Good advice with efficient delivery. This company provided me with good service at a fair price. They fully met my expectations and I can recommend them unreservedly. Superb quality and very speedy service. Very affordable products. From the onset I have been dealing with Gabriel in assisting me to find a solution to my battery replacement problem, unlike most other battery providers, I actually got the feeling right from the start that Gabriel was not to just fob me off since they did not have my specific battery in stock but that he was going to resolve my problem. He did just that, after numerous emails, photos and using all means of communication including whatsapp, he managed to source a battery for me that was just as good and equal in size to fit my vehicle. What impressed me the most was his sense of urgency, constant follow-up’s and perseverance. Well done Gabriel, you certainly went the extra mile and saw to it that the battery was delivered to my house the following morning via The Courier Guy. Thanks for helping. Dealing with the sales team was overall a great experience but what really took me by surprise was how quickly and efficiently I received the product that I ordered. This was certainly not the experience I had! It seems that “Batteries Online” takes their name seriously as my purchase delivered promptly and without any issues whatsoever. I placed my order in the morning and received my delivery the next day! I had a great experience with Gabriel & batteries online Got the batteries the next day and handled everything over email which was great. I will be referring people there in future. Thank you to Abbi and the team. You went above and beyond the necessary to service my request. It’s refreshing to receive such great service! Thanks Gabriel for you great service and speedy delivery, right product, right price and delivered when promised. Great service from Gabriel at MAL.Quote was very good and followup was painless.Keep up good performance and service.Will buy again from you. Just a note to say thanks to Batteries Online for great service and advice provided, especially Anton. Definitely to be recommended! A Big thank you to Gabriel and everybody else behind the scenes. Less than 24 hours from First Contact to having what I wanted in my hands and at a great price too! Fantastic and friendly service. Great Service!!! Easy to order and fast delivery. After getting sick and tired of car batteries expiring JUST after their warranties expired I did some research and found that MAL batteries were selling the good kind. This was many years ago and I have since then only bought batteries from MAL. They keep years and years, and once, when one did have a problem, it was exchanged without any problem. I have always received excellent service from them! Batteries Online was recommended to me by a friend, and the recommendation was certainly well-deserved. The service I have received from Gabriel Erasmus has been consistently superb! Efficient, patient, helpful and friendly – every interaction has been a pleasure – thank you! My battery was delivered today and the whole process ran smoothly – most impressed with Batteries Online! I’m so glad I was recommended to you, your service was fantastic. I will definately use your company again. It was a pleasure to order a battery charger from Batteries Online. I received excellent service from Gabriel Erasmus throughout the process. First of all I want to thank you for the quick response I got from you every time I contacted you. Secondly I want to mention that your delivery has been done yesterday, and considering that you responded from PE to here in the north/Polokwane, I must say that, this was in a record time. Thirdly I think that the fact that you deliver free of charge when a larger order is being placed is a big plus in my books. Fourthly, this is just a recommendation, I think you should consider opening a branch here in the north as your prices are very competitive and you will be able to do good business here. I have collected the batteries and installed it over the weekend. Just want to let you know I am really happy with it. Thanks for your great service and good pricing. I shall certainly recommend your services to other potential buyers. Ignorant with current, amps volts, watts etc. I needed a decent battery charger and searched on gumtree. Fortunately I clicked on a ad that brought me to Batteries Online. I enquired about a certain battery charger, and Anton was friendly, patient, explained everything, not pushy. I was to collect the charger, but work was too hectic. Eventually I asked whether it can be delivered, and YES it could. Anton personally delivered the battery charger. You do not get service like this in PE. Hi Abbi, got my GB40 today at 12h00 – 25 hours after payment !! Batteries Online is always the first place I go to when I need a great price on a good quality battery. When my Defender’s battery finally needed replacement after 8 years, they were able to source me a higher capacity and higher performance battery than the standard one at an excellent price (while maintaining the same physical size) – none of which the 5 franchise shops in the CT area that I went to were able to do. Their service is always professional, fast, and helpful. I made an enquiry this morning (8 Dec 2017 at 9am), on the GB40 Jump Starter, within 10 minutes got a response that they had stock, supplied my details, received Pro-Forma invoice shortly there after and made payment, thinking that I would only get confirmation of courier collection next week, low and behold by 11am this morning got confirmation of waybill number. To Gabriel I would like to say thank you for the impeccable service that I received from you and I’m sure if I’m in need of something else in this line I will most definitely call on you again. Dankie vir super fantastiese diens!!!!!! Eerste keer wat ek pos aankoop so vêr vir so ‘n swaar artikel doen – was maar bekommerd maar??? Van die eerste keer wat ek met jou te doen gekry het was my gevoel hier gaan iets gebeur – My battery is hier!!!!! – sommer so tjop tjop En dit goedkoper as local quotes wat hul nie kon lewer nie. Ek wil graag vir jou sê bitter baie dankie vir alles – van die gestoei met bankoorplasings tot die battery in my huis is – ek het baie mense hier local gebel – net my geld gemors – niemand wou help nie – toe het ek besluit Abbi is my laaste kans – en Voila!!!!! When delivery was delayed, the response from them to resolve the problem – with offer of compensation ! – was way above what can be reasonably expected. Even without asking I was also directly contacted by senior management to offer apology and confirm voluntary offer for compensation not even insisted on. Congratulations to them! I real good example of customer orientation and an example to other businesses of how to respond to maintain and even grow customer loyalty and repeat business when problem should arise to meet service delivery standards. I ordered a Varta 618/619 battery from Batteries Online on the morning of the Tuesday, and took delivery of my new battery the following morning. I strongly suggest these guys if you want to price bonus that generally comes with buying online, but with a failing battery dictating that delivery cannot take too long. Will use again. Thanks for the painless and efficient experience. I will definitely keep you in mind for future purchases of this kind. Which, due to the supplied Varta product, is hopefully many-many moons in the future. Ek was op soek na ‘n battery vir my motorvoertuig en wou opregte en eerlike raad hê om sodoende die beste waarde vir my geld te kry en goeie kwaliteit produk te koop. Ek het dit alles ontvang by Batteriesonline, maar as ‘n bonus het ek ongelooflike puik diens ook gekry – die battery is binne 1 dag afgelewer. After being messed around by the motor dealership for nearly three weeks I took to Google to try to source a battery for my SUV. 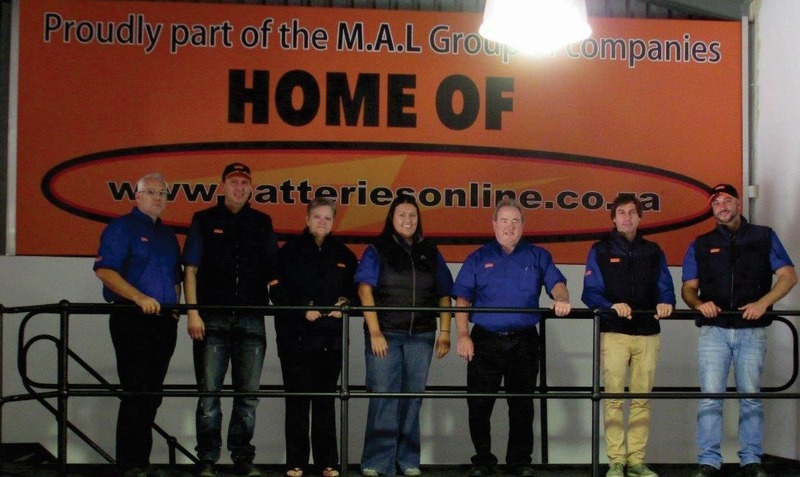 I submitted my query through www.batteriesonline.co.za and have been extremely impressed with the professionalism and response from the team. I had a very good experience from you guys I have to say its was the first time I used you guys but it wont be the last. Excellent prices and excellent service. Within half an hour he sourced me the battery I want(in Nelspruit) and is having it delivered to my house (in centurion) the following day. I have recently purchased Varta Batteries for my Land Cruiser 100. As anyone would do, I went on a price-hunt via Google for the best possible price. This lead me to M.A.L. Investments (www.batteriesonline.co.za) and Gabriel handled my request immediately. Not only were they by far the best priced, the service was impeccable! They only had 1x of the two requested batteries in stock, but Gabriel sourced the 2nd battery for me very quickly from another branch and arranged it to be delivered to our premises. Other suppliers just replied they had no stock……..
We received constant communication re the tracking of our parcel and received same in no time. We were extremely impressed by the level of service received from M.A.L. Investments and would highly recommend them to anyone. I was thoroughly satisfied and impressed with your service and assistance. I would just like to say a huge thank you for the fantastic service you gave me regarding the 10 x “trickle chargers” I was looking for my dealership Audi Centre Margate. From the very first phone call you treated me as if you knew me. I asked you to do some research for specific “chargers” we needed for our showroom which has to comply with Audi Head office – Germany, and like a trooper you got stuck in – got your manager involved (thank you manager – so appreciated) and I know this must have been a tedious task and annoying BUT you did it and kept me informed with progress – and then – you found what we were looking for & saved our company loads of cash – you warned me that I would have to pay for the courier for delivery to our dealership but when it came time to send, you said “No charge” wow you blew me away. Nothing was too much for you & your respect & kindness was fantastic – I am sure you are aware of the high standard Audi expects from their staff in the “services” to clients offered – well you matched what we strive for. We will definitely be using your company again in the near future. I am sure your after service attitude is going to be just as dynamic – we will see lol. Thanks again Gabriel, – it was a pleasure dealing with you. I purchased a battery online. The process was effective and the purchase price was better than any quote from a supplier in my area. There are also scamsters on the web that promise you the world. As the saying goes – if it’s too good to be true – it IS. There is not much room for improvement from my point of view. The battery was delivered early yesterday by courier(!) and my car is going again. Thank you for your exceptionally good service and for a very competitive price too. Dealing with you has been a very pleasant experience throughout. I think you guys are way ahead of your other competitors. This, I say purely based on the web site design. I searched online for over 2 hours trying to get assistance or just a price, not so easy, just try yourself. 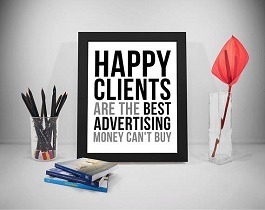 Your website was simple and I received a quote quite quick and in fact the battery is paid for and being delivered. All this in one day and delivery the next day! The price was extremely fair and I will only buy from you going forward. Everyone I know will hear where I buy batteries from and I will recommend you guys always! I would like to express my gratitude towards Batteries Online personnel, particularly Gabriel, for their time and effort and dedicated assistance. When I started out, I had no idea how many legislative requirements would need to be fulfilled in order to export these deep cycle batteries to Zimbabwe. Batteries Online helped every step of the way, providing updated quotes, specs, arranging transport, Bureaux Veritas inspection and countless other tasks. Having been impressed by their commitment, knowledge on the subject and competitive pricing, I can recommend them to anyone requiring any of the services or products that they provide. I came away a satisfied customer. Ek was baie indrukwekkend die goeie diens en teugvoering wat ek van jou gekry het. Jy het my ook laatweet die batterye is by julle en die courier diens was puik. Good quality, quick responses and the best of all, best service ever. First of all i want to inform that order was very well received in good conditions, i really love your services and hope to do more business with you, i never had such efficiency you provided to me, you online shopping, my God, good quality, quick responses and the best of all, best service ever. Many thanks for your prompt and efficient service. As a result, I was able install the deep cycle batteries on my Solar installation without delay. Also, with regards to the replacement of the faulty Noco Gb70, your willingness to deliver this without any hassle or complication within a few days was exceptional. I look forward to conducting further business with your company in the future. Good service makes a pleasant change nowadays. I can confirm that I was very pleased with your service. Good service makes a pleasant change nowadays. Batteries Online is brilliant ! Batteries online is brilliant, our company has saved a lot of money by buying our batteries from you. And the shelf life is great so we don’t have to worry about them losing power before we can use them. Guys and girls if you ever need a new battery for your beetle call VARTA. They have a excellent service with there clients. From now on im using them. They do battery’s 6v and 12v . The next thing you need to take note of they are a online shop. Your service was like none I’ve experienced in Port Elizabeth. Putting customers first and looking to do the best you are able. It is much appreciated. I will be calling again in the future, should the need arise for a battery. Thank you for the prompt service received . It was a hassle free purchase. Thank to Morris and Batteries Online for outstanding service received on purchasing a VARTA battery. Phone Friday 25/04/2014 at 10h00 collected battery at Deltec Pinetown at 13h00, same day service! MAL Battery Distributors has changed the way I look at batteries as a whole. I had my sons car battery replaced last year and ever since then his air conditioner and general starting has made a remarkable difference to his car. The new Varta battery i had installed including the professional service i received from MAL Battery Distributors has changed the way i look at batteries as a whole.